Full Color 36" x 24: Poster Map Included! The world of Aihrde spins upon an earth-like axis of ancient civilizations where good and evil have struggled for countless years. It is a world that bares the markings of its past; where ancient evils slumber, stained with the power of eldritch wizardry; where gods dwell in bejeweled halls of wonderment, worshiped by men and women of all creeds; where dragons live in great dens of heaped treasure; where the new stands upon the ruins of the old in beds of ancient glory. For a thousand years and more the dark god Unklar ruled the world in a terrible reign of Winter’s Dark. But now, banished to the Great Empty Aihrde is a world reborn. In the After Winter’s Dark heroes tread in iron shod boots and wizards lean on crooked staffs to plunder the buried wealth and power of the ages. Here, the eternal struggle goes on, age after age, for Aihrde is a world of adventure, of undaunted heroes, untainted by the decadent philosophies of those meek who suffer in the shadows of lesser men. For here the stone columns of history are wiped clean, awaiting the bold to carve their mark and gain entry to the halls of immortality! Aihrde is complete campaign and world setting for your Castles & Crusades game. An in depth history, mythology, descriptions of all the races of the world, from dwarves to giants and elves to orcs, a case by case study of all the relevant kingdoms and peoples and the geographical regions the live. 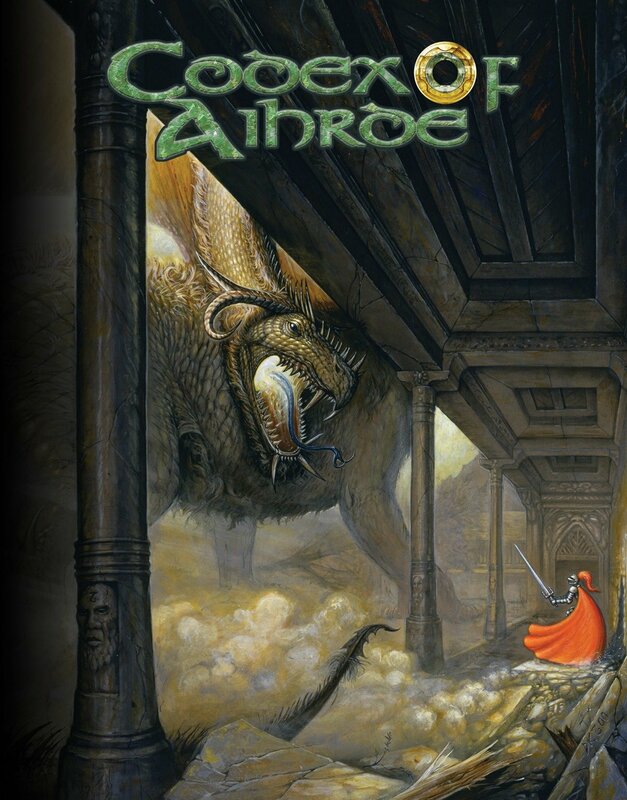 Aihrde is the most complete campaign setting on the market today. Want to explore more of The World of Aihrde?